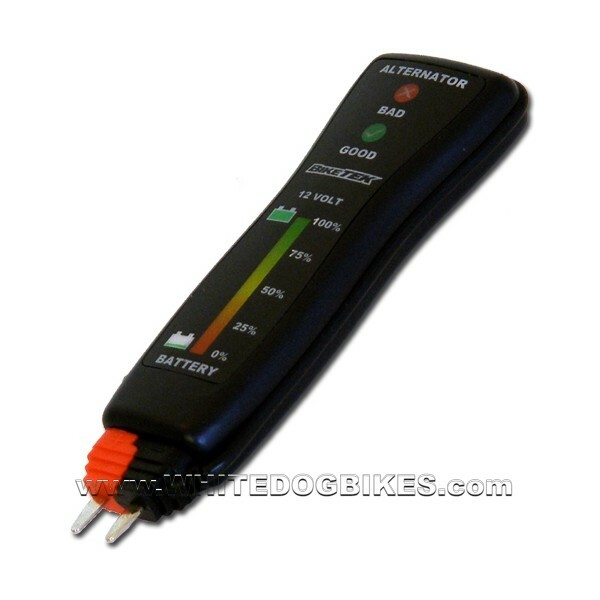 The BikeTek 12v electrical system and motorcycle battery tester is a handy, pocket sized tool for quickly testing the charge state of 12 volt motorcycle batteries and motorbike charging systems. 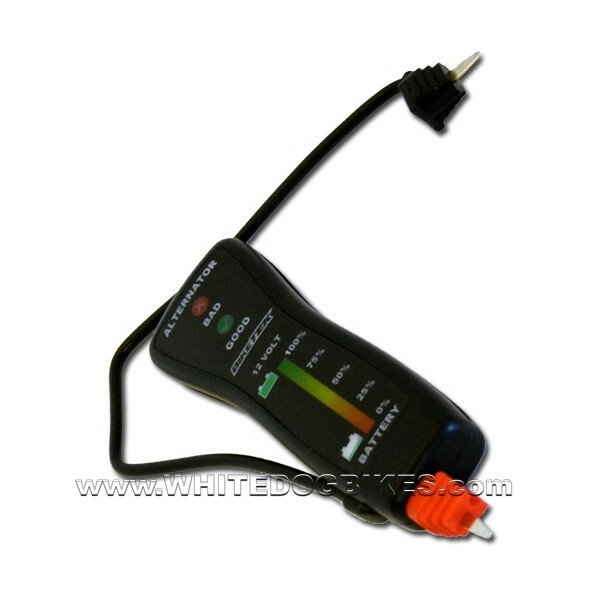 The testing probe uses 2 small probes that can be connected to the battery + and - terminals to test the battery or charge system. The -/negative probe is on a wire that secures to the unit. The readout uses a coloured light strip for the battery testing and a simple, 2 light system (good or bad charge) for testing the charging system. Illuminated coloured lighting strip showing percentage of charge in a motorcycle or scooter battery. 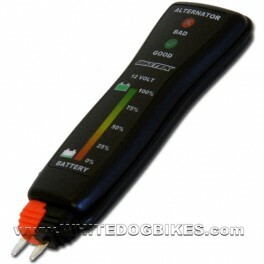 Ideal pocket sized tool for checking motorcycle battery and charging system voltage! 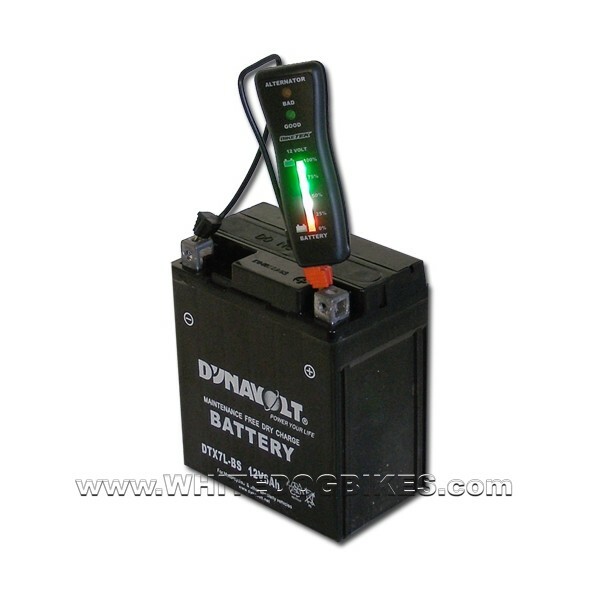 Please note: This battery tester measures the voltage of the battery and charging system, it is NOT a battery load tester! Please note: This item weighs (approx) 0.03kg.